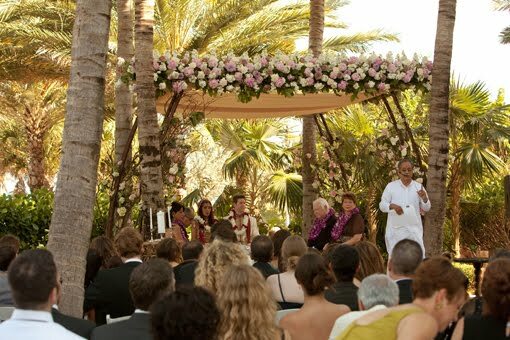 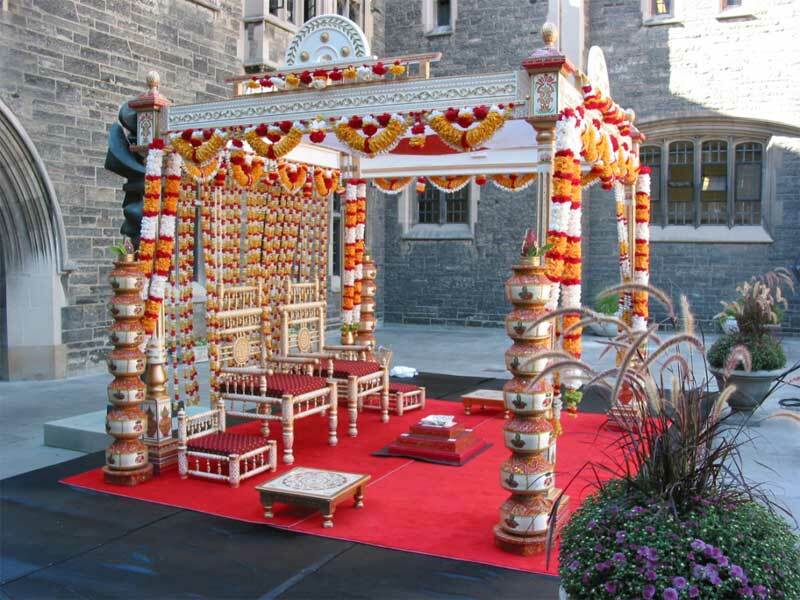 Mandap is simply a hooded canopy, decorated with fresh flowers and other accessories, under which a Hindu wedding takes place. 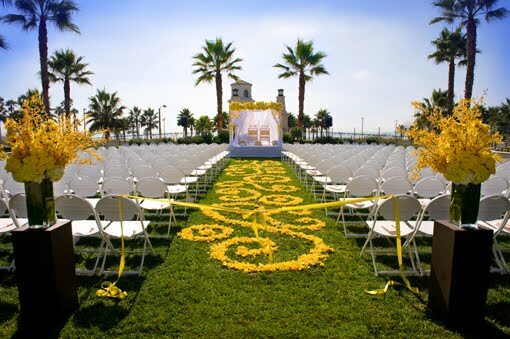 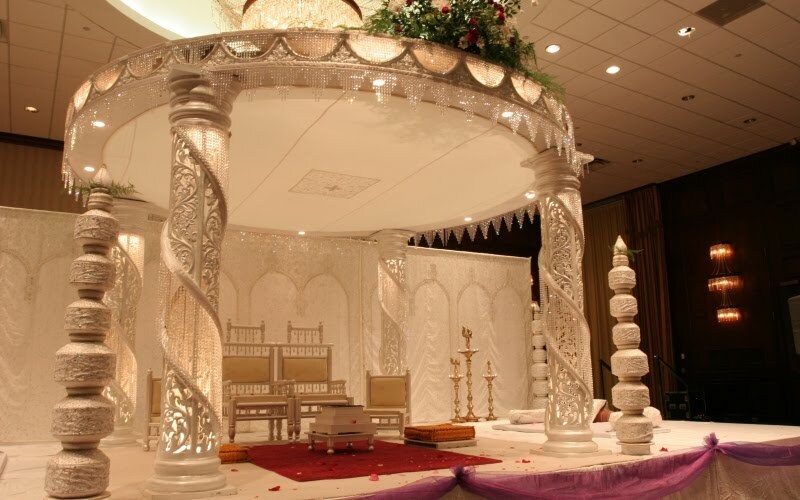 The mandap could be in an indoor hall or in an open area, depending on the venue and the weather. 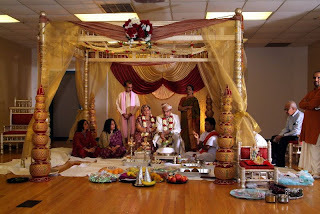 The Sanskrit word for mandap is mandapa. No Indian Hindu wedding is complete without the mandap. Mandaps can be indoors or outdoors. 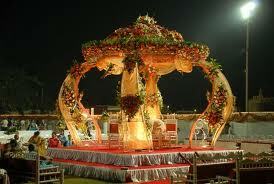 Many families today seek innovative wedding mandap designs, to be modern. 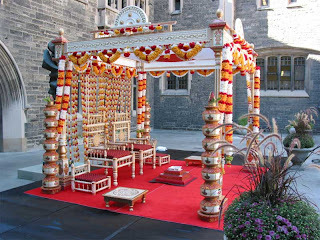 However, traditional mandaps are also very much in demand. 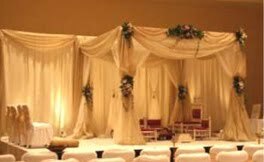 Before you decide which mandap you will go with, decide first on the your wedding style, be it modern and contemporary or traditional. In this blog post today, we feature a few modern and traditional wedding mandap designs for your wedding. 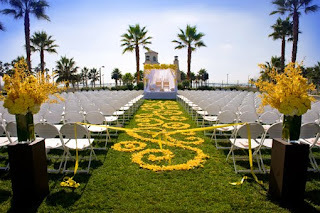 We hope you find these designs inspiring! The traditional mandaps are usually decorated with red, golden and silver colors. 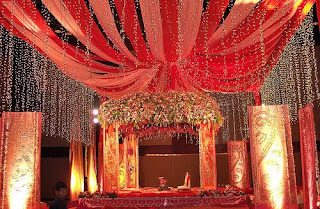 These colors, particularly red, are considered auspicious for Indian weddings. 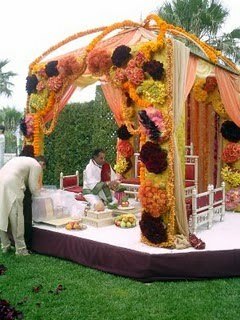 Some other eye-catching colors, such as orange and green, are also favored. 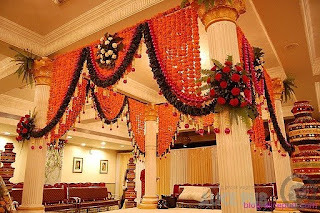 Traditional outdoor mandaps typically uses the same color schemes as the traditional indoor mandap designs - often featuring red, golden and silver, as well as orange, pink, green colors. 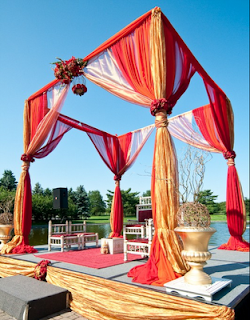 Modern outdoor mandaps typically use light pastel colors for an airy feel - whites and blues are commonly used. 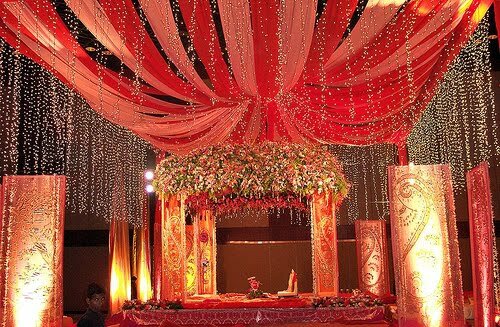 But since Indians find red an auspicious color, it is not uncommon for modern mandaps to incorporate red, yellow and orange tones in the mandap designs as well, as can be seen above. 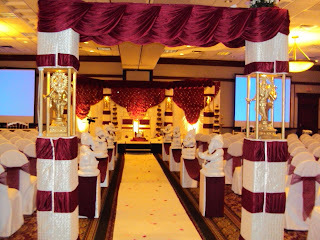 Modern indoor wedding mandaps use light and airy colors, like white as a decoration scheme. 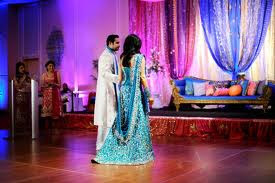 Or if it is an evening wedding ceremony, then colors like fuchsia pink and electric blue can also used, as seen in the picture above.